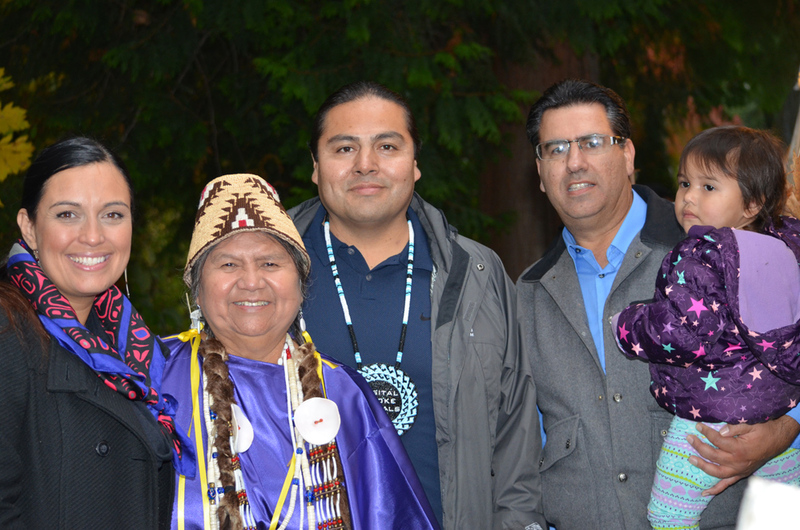 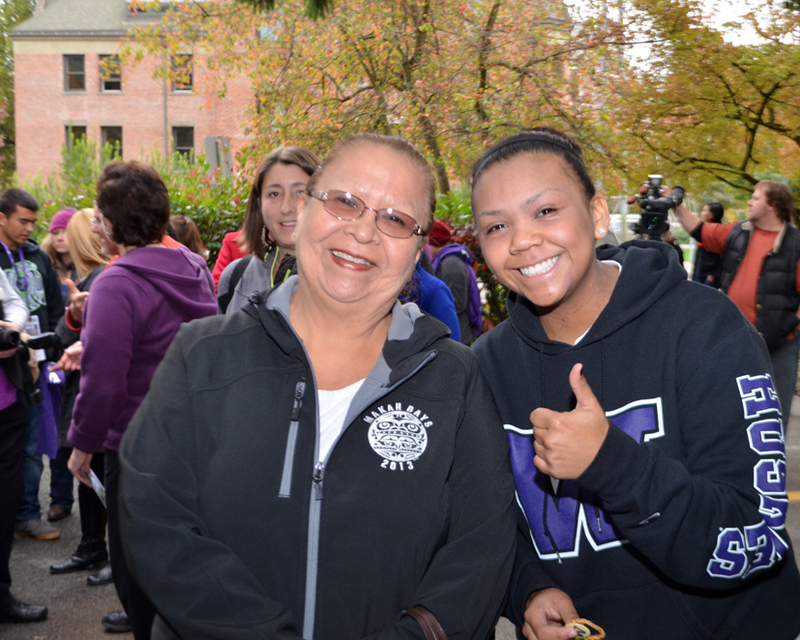 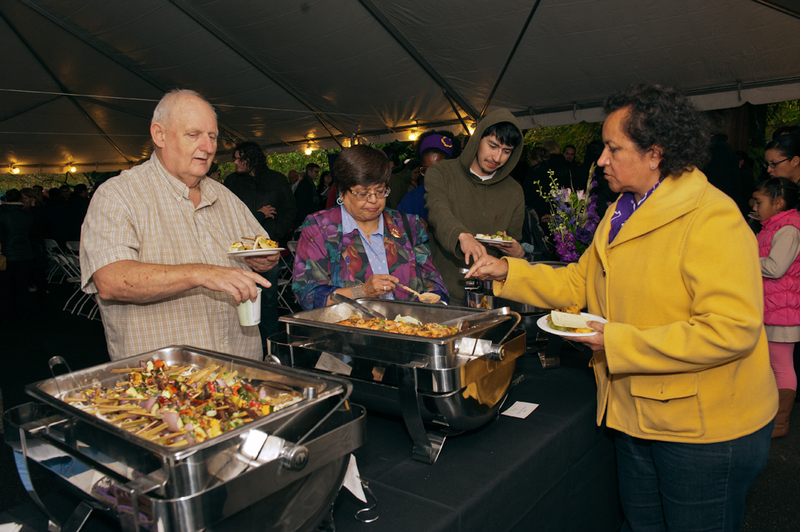 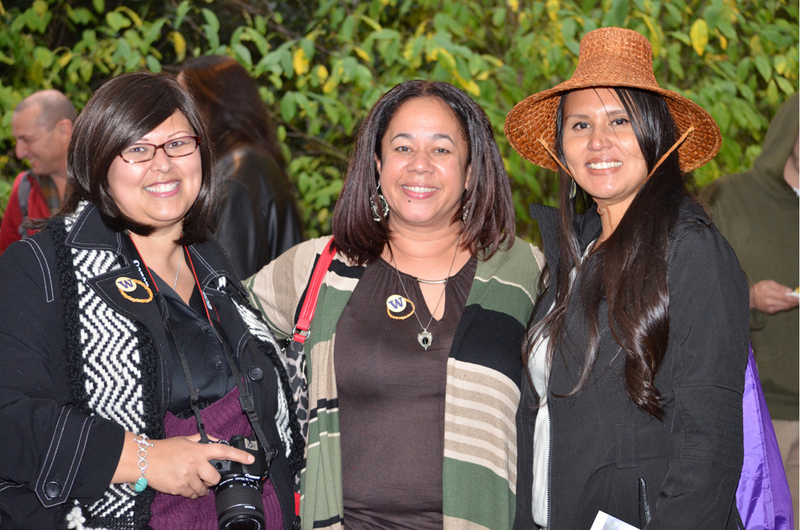 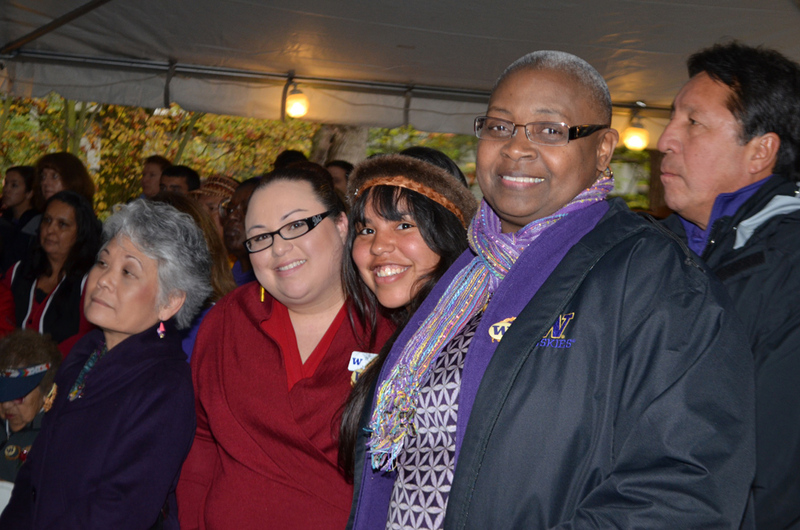 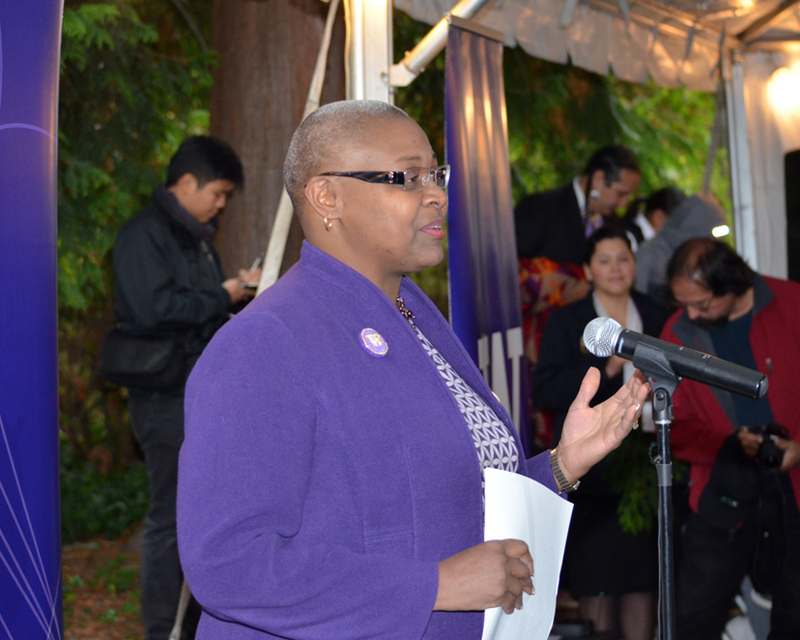 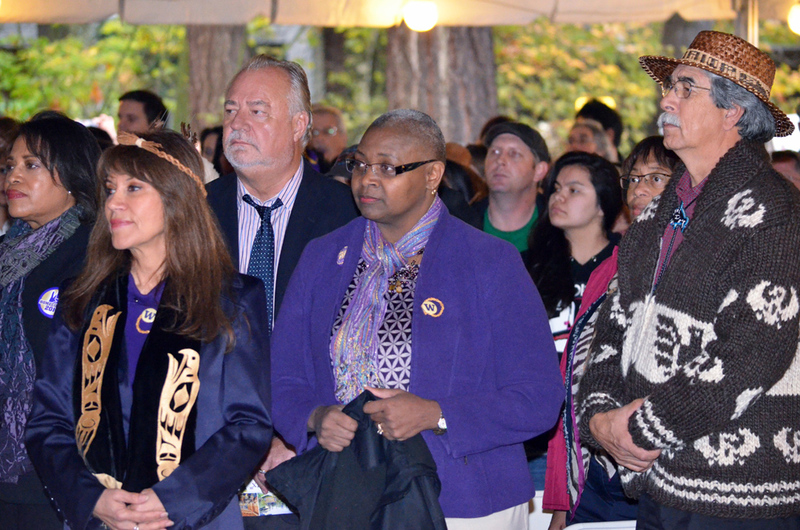 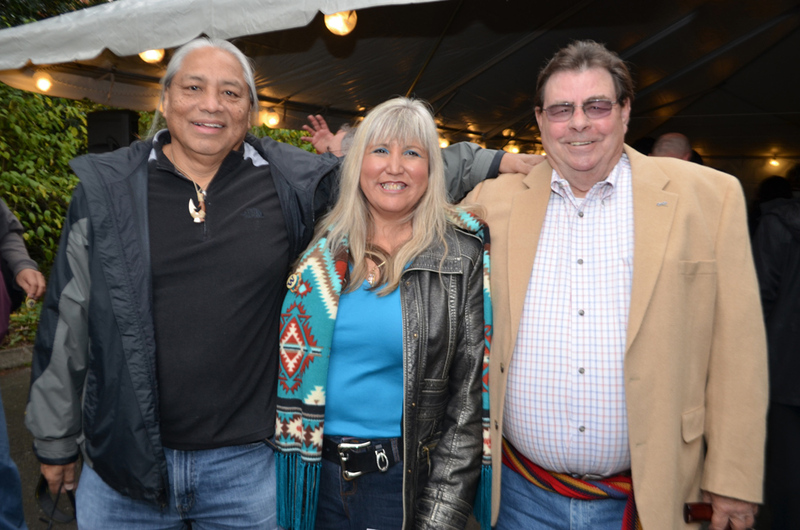 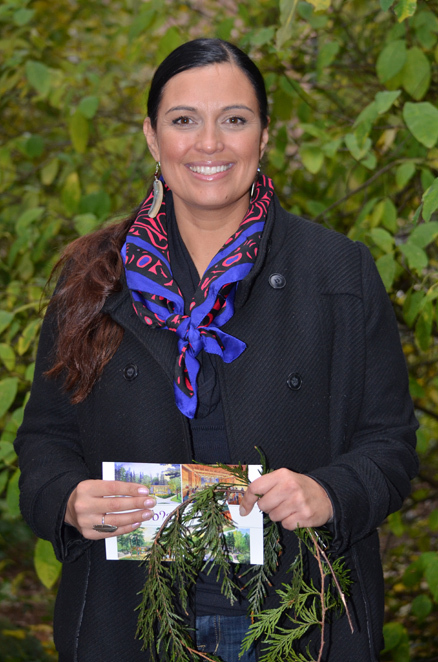 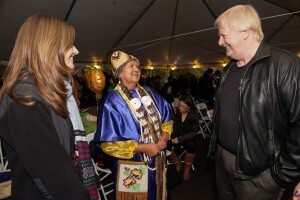 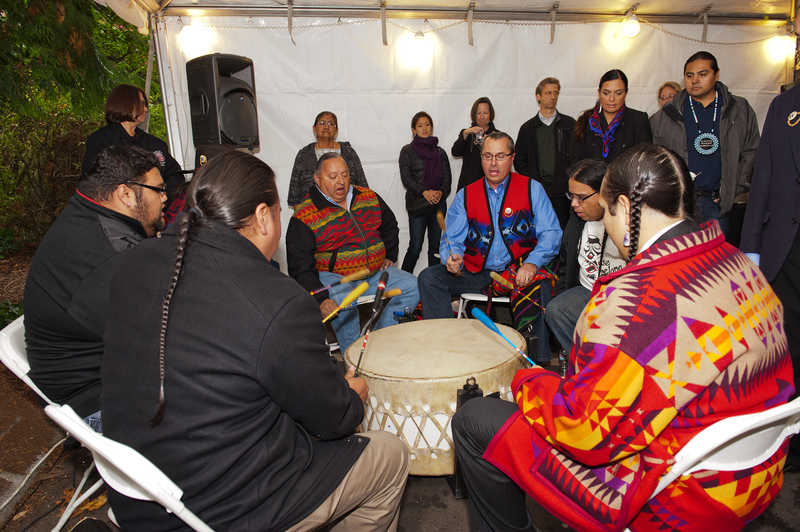 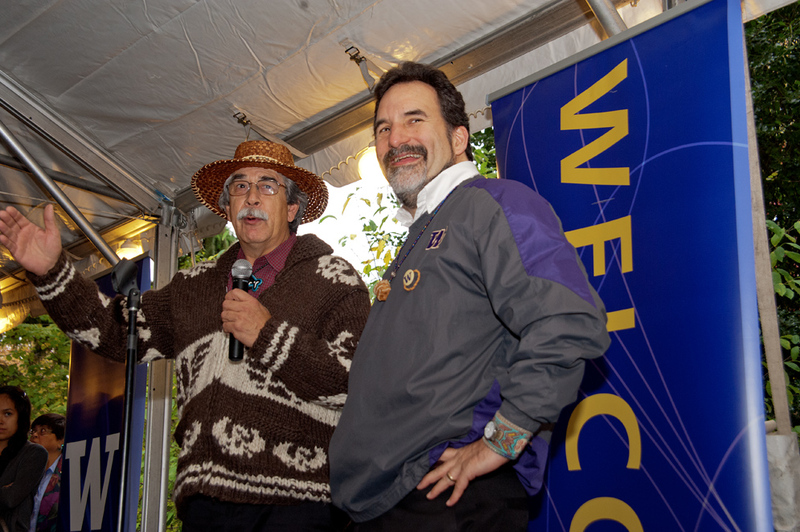 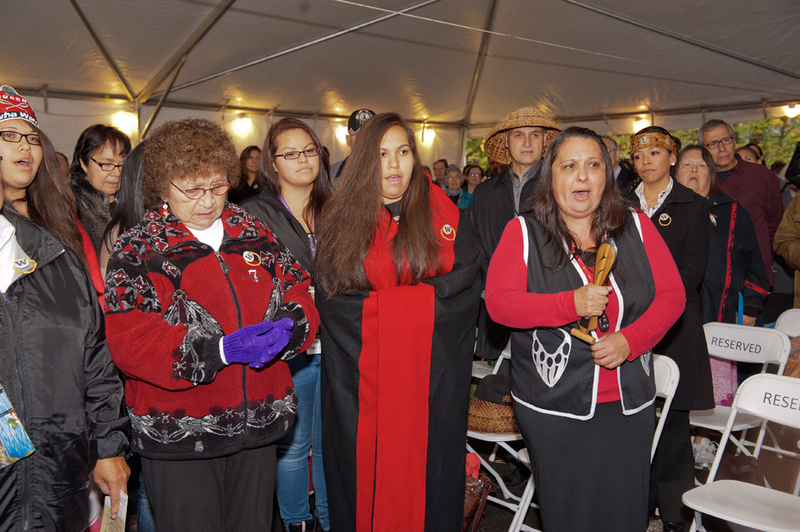 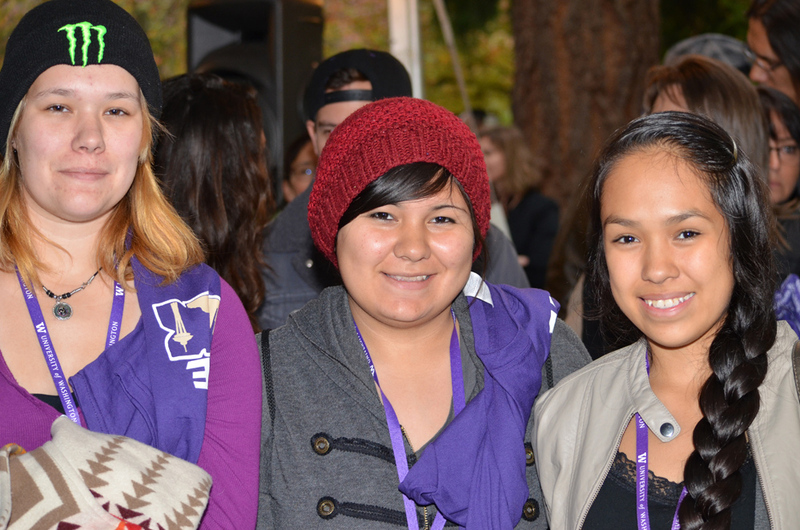 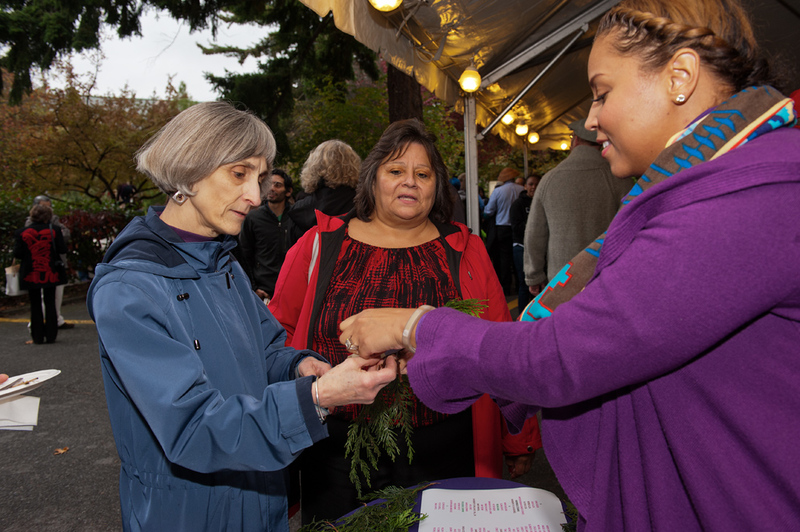 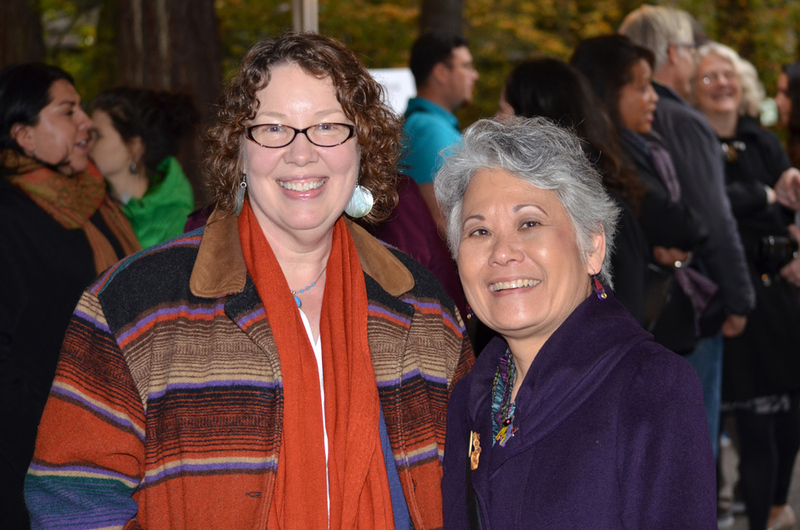 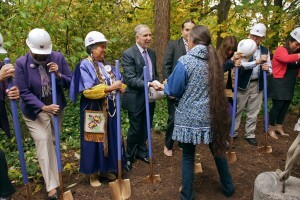 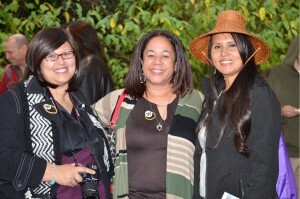 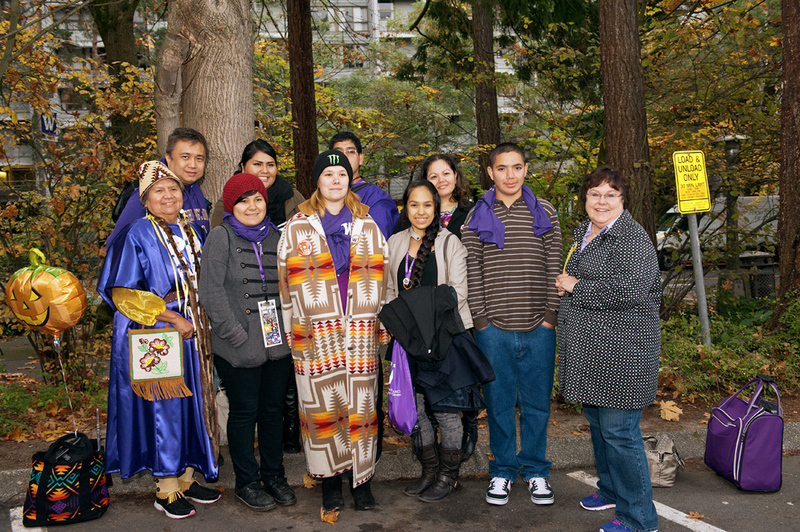 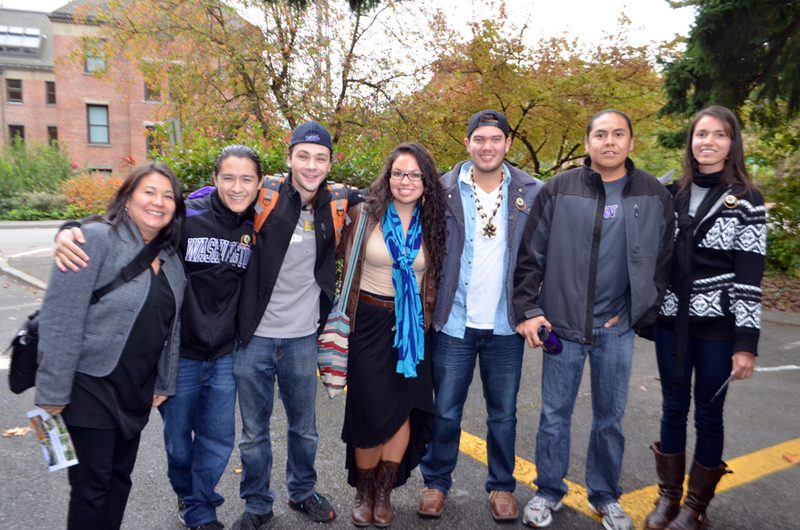 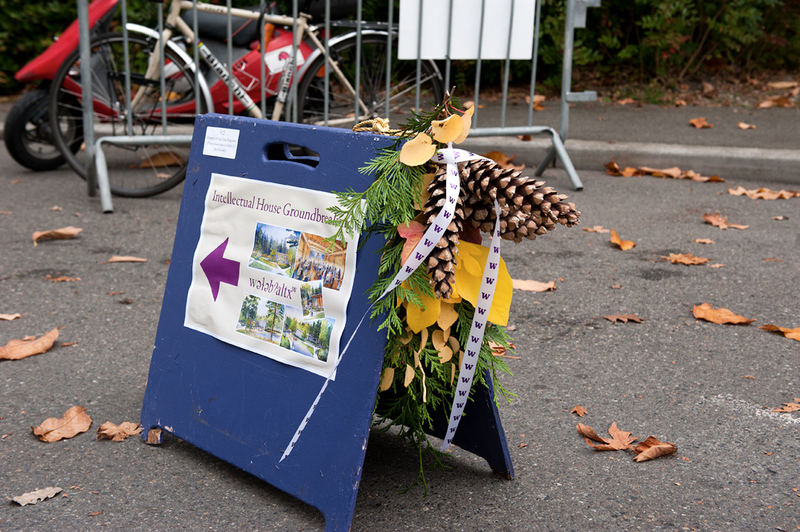 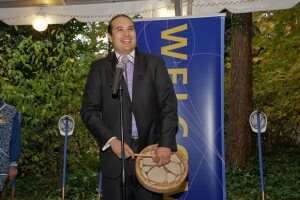 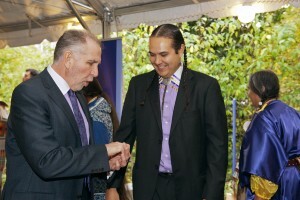 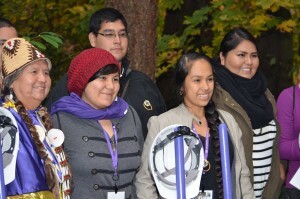 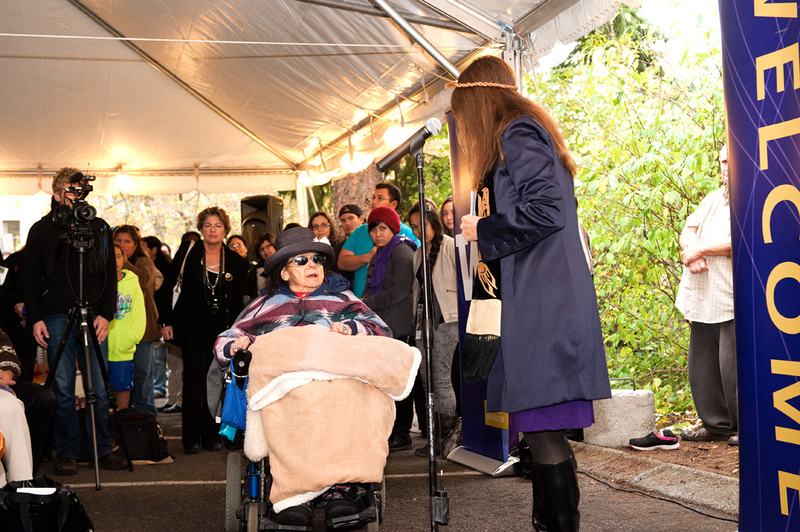 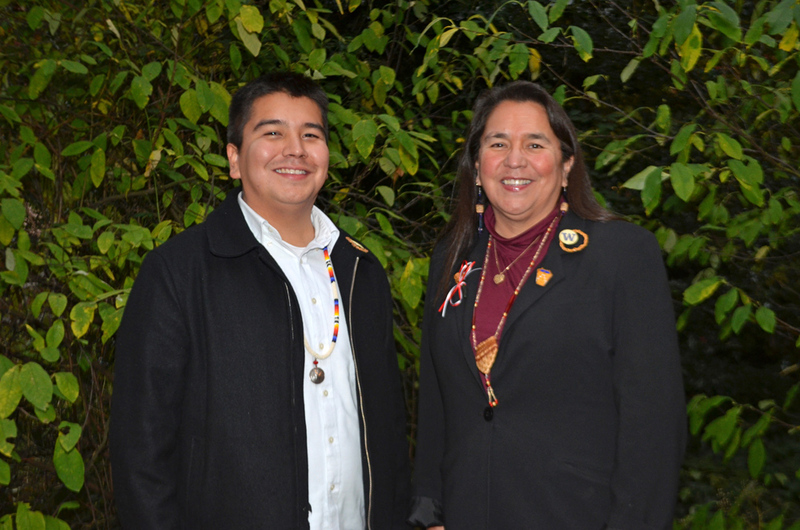 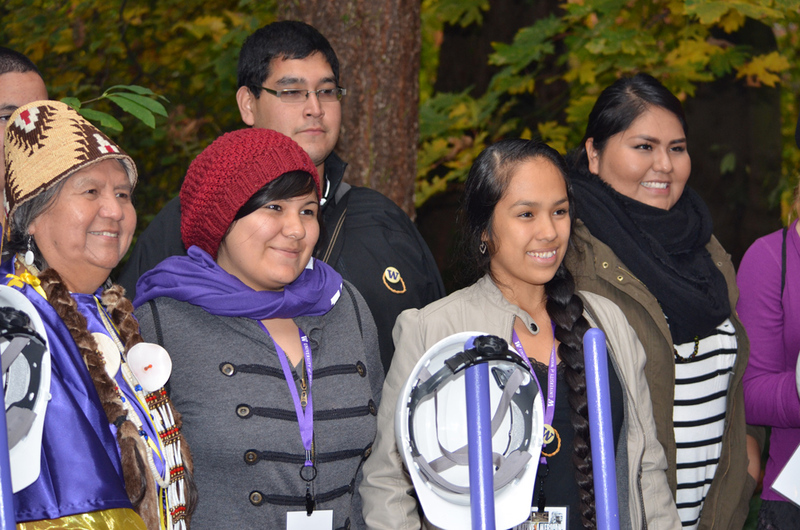 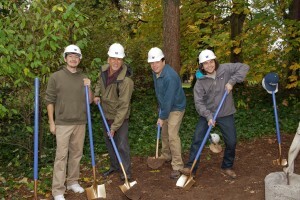 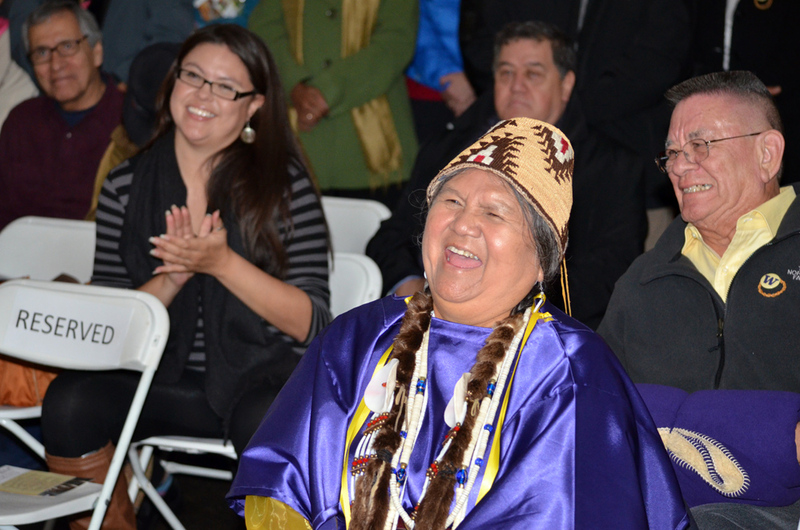 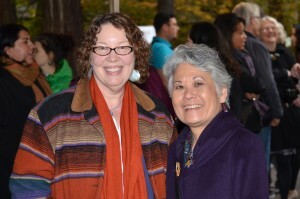 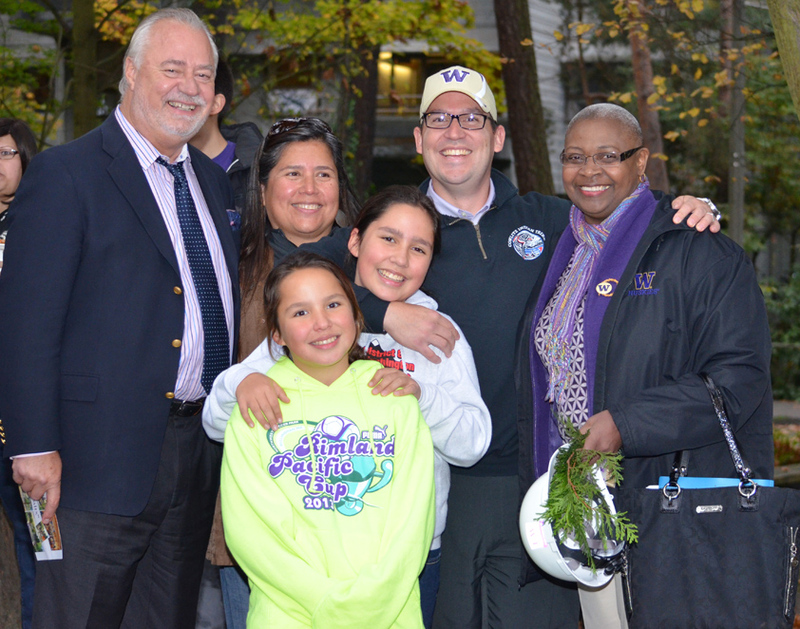 A dream 40 years in the making took one step closer to becoming reality when the University of Washington joined regional tribal members to celebrate the groundbreaking for a Native American longhouse-style facility, on the UW campus, Oct. 25. Wǝɫǝbʔaltxʷ, pronounced “wah-sheb-altuh (click here for the audio)” and the Lushootseed language name for “Intellectual House,” will serve as a learning and gathering place for Native American students, faculty and staff, as well as the UW and surrounding community. 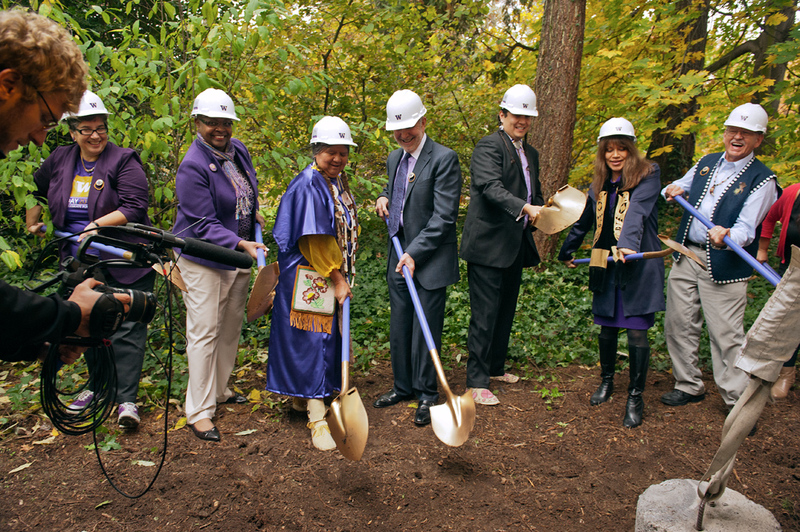 It will also serve as a symbol that honors the region’s tribes, including the Duwamish whose land the campus now occupies. 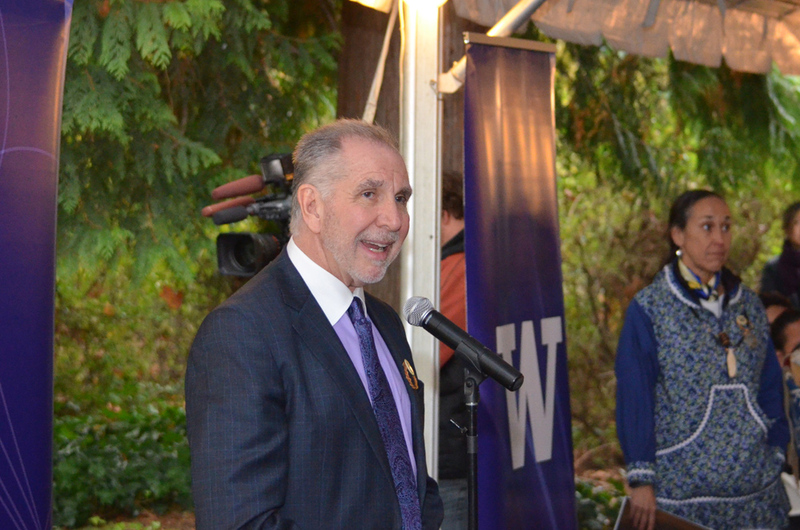 “It will be an extraordinarily important building for this university, and I don’t use that lightly,” UW President Michael K. Young said. Read more coverage in the Seattle Times. 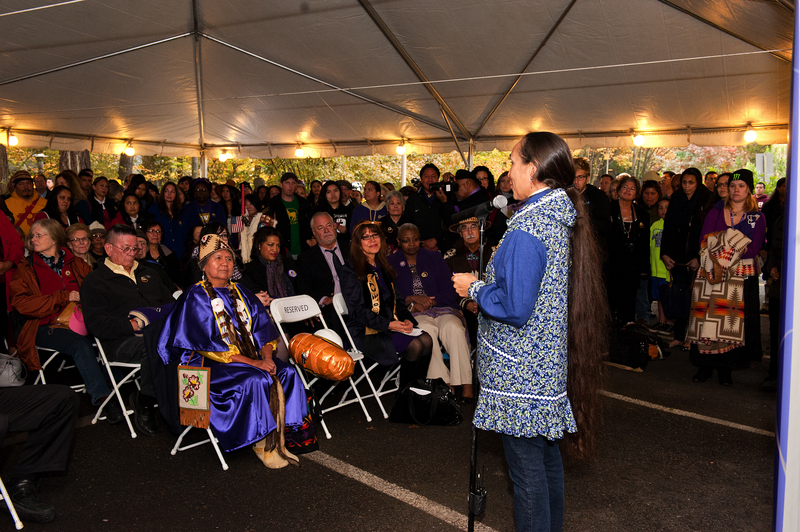 Several hundred people, including leaders and elders representing over 50 tribes, gathered to witness the ceremony that took place at the facility’s site located in the N6 parking lot between Lewis and McMahon Halls. 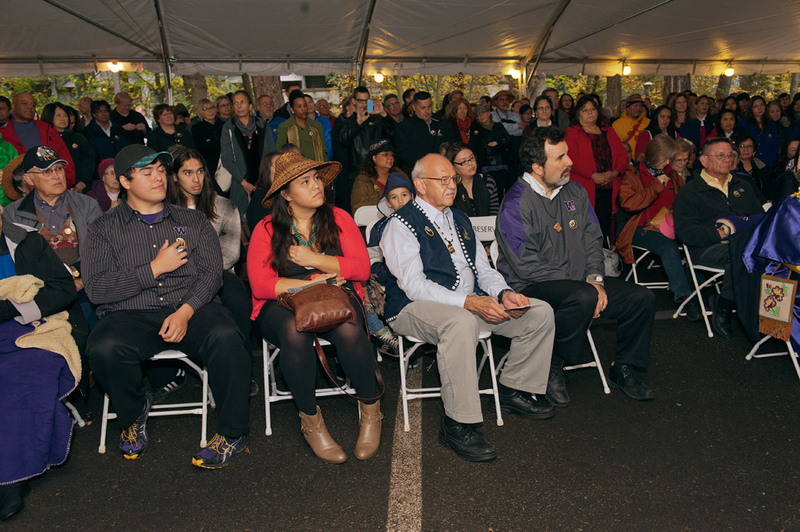 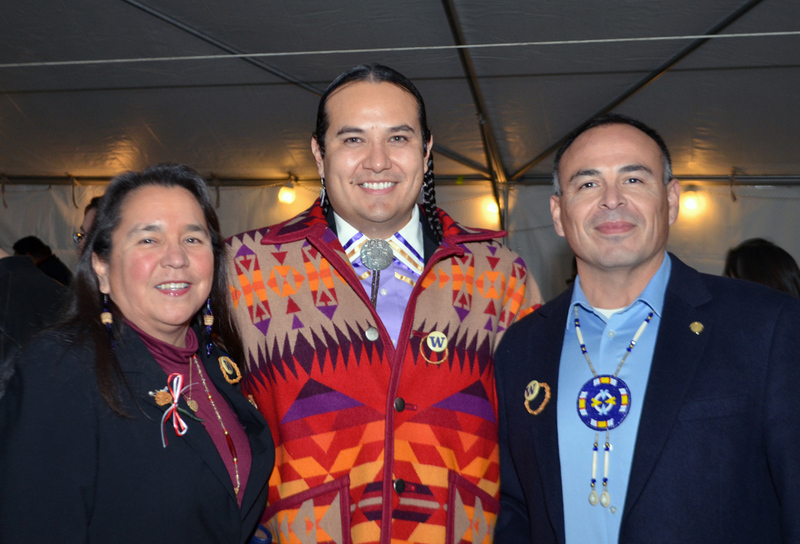 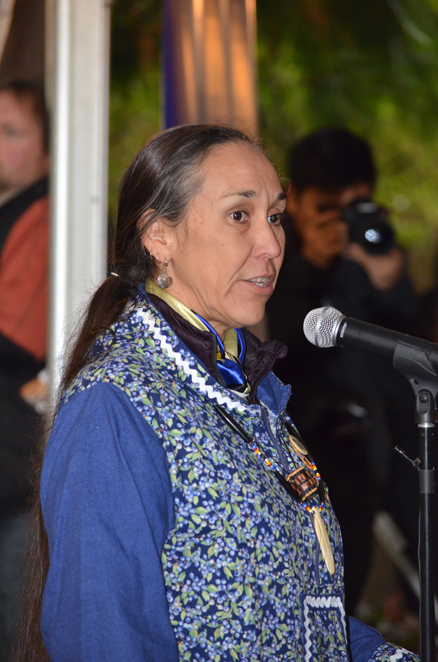 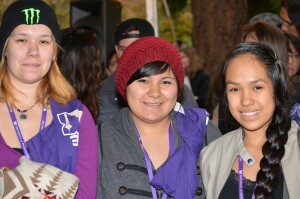 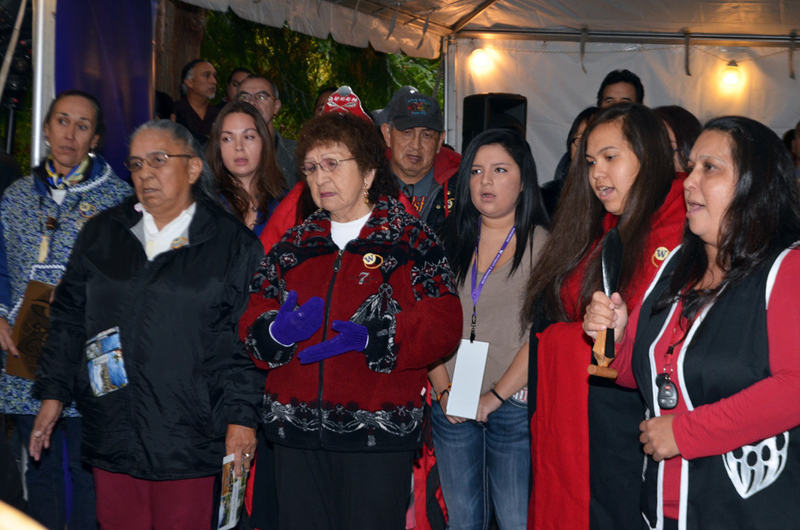 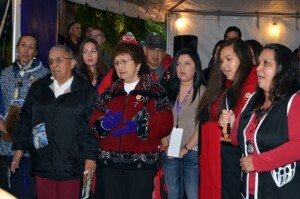 The program featured remarks from UW and tribal leaders, an invocation from UW Native American Advisory Board chair Patricia Whitefoot and songs performed by the group Southern Plains. 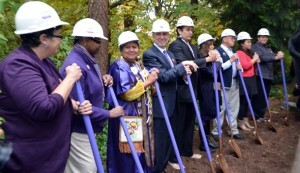 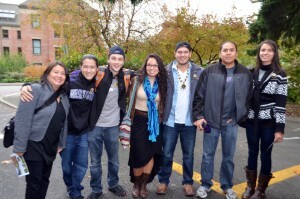 Participating in the “turning of the ground” were Young, Provost Ana Mari Cauce, UW Vice President for Minority Affairs and Vice Provost for Diversity Sheila Edwards Lange, Whitefoot, UW Tribal Liaison Ross Braine, Wǝɫǝbʔaltxʷ Advisory Committee Co-Chairs W. Ron Allen and Charlotte Coté, and students Noelani Aure and Jared Remington. 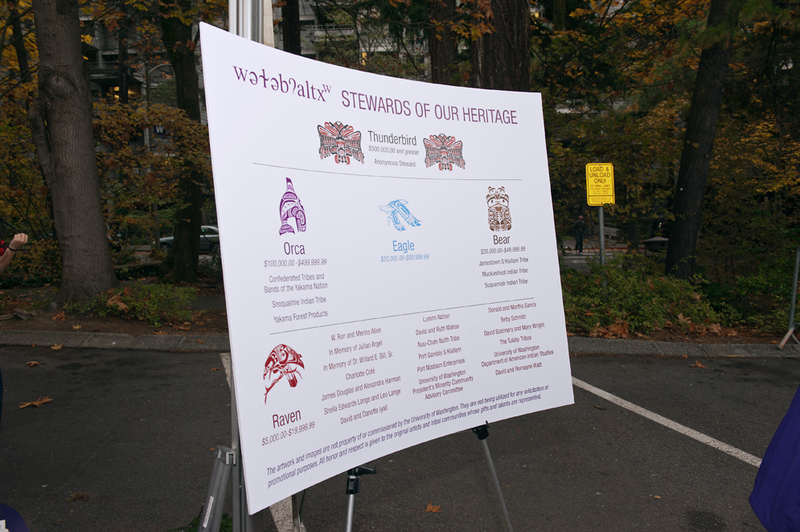 Wǝɫǝbʔaltxʷ will feature a “village concept” that includes two primary buildings and a central outdoor gathering space. 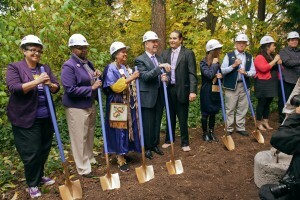 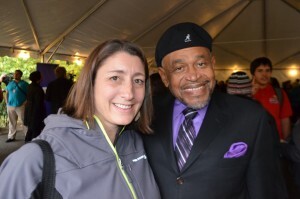 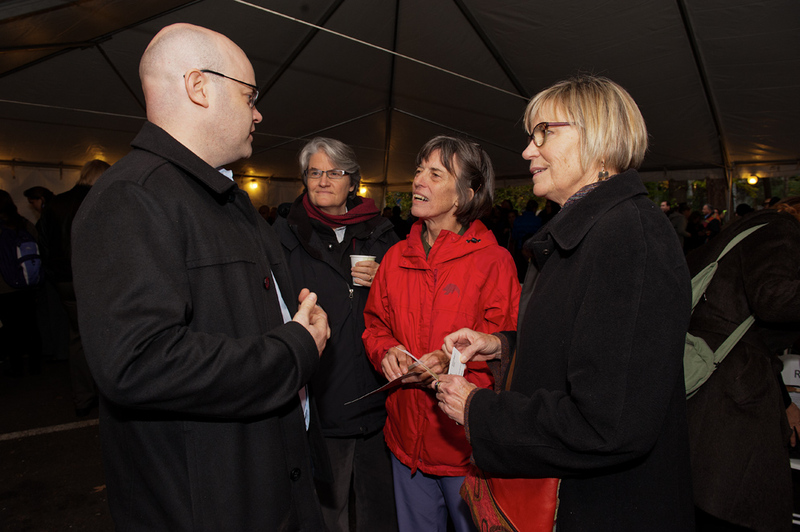 October’s ceremony was the groundbreaking for the project’s first phase: the 8,400-square foot Community Gathering Building and the outdoor space expected to open in 2015. 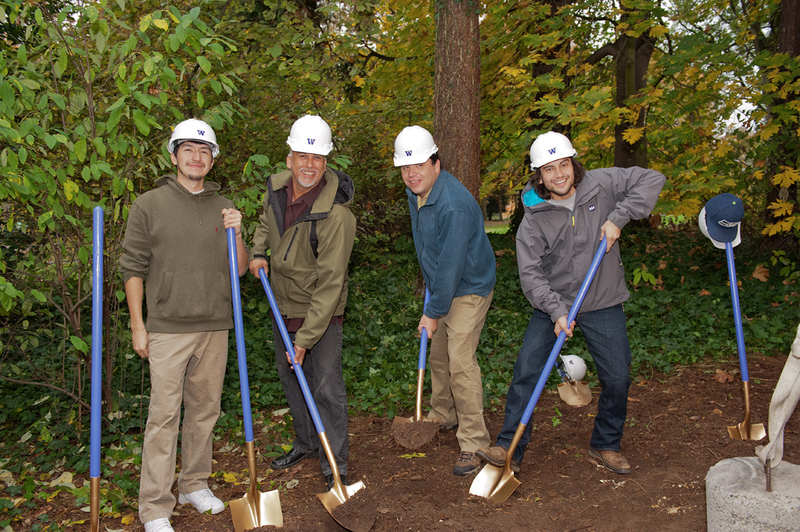 Donations and pledges totaling almost $6 million are supporting the design and construction of phase one. 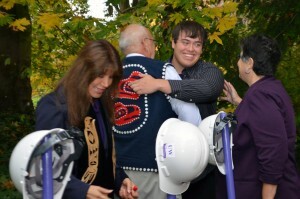 Phase two of the project will include further fundraising for the second building, a Teaching and Learning space. 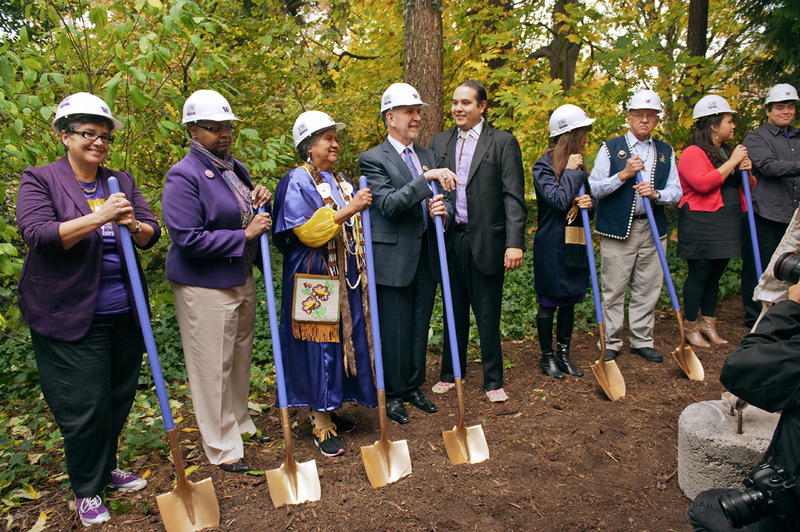 The UW is currently accepting donations for this second phase. 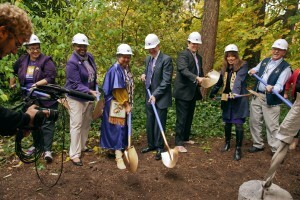 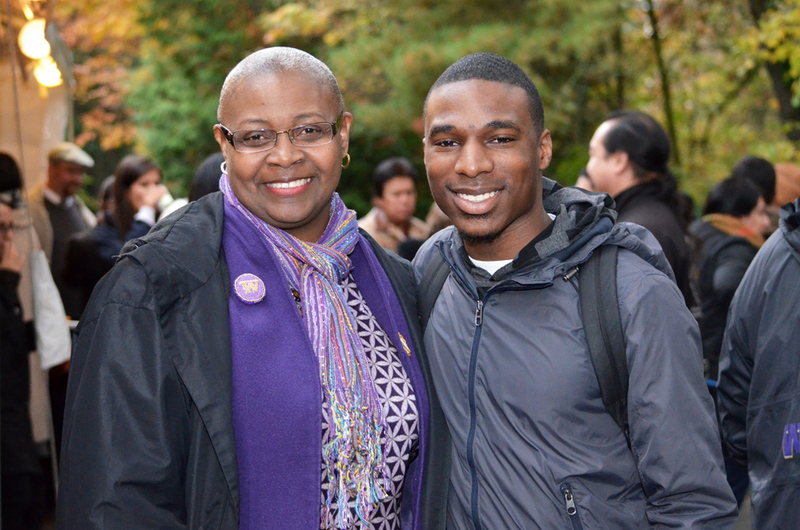 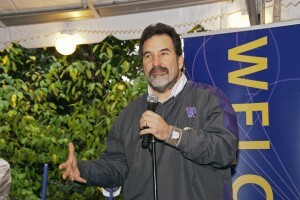 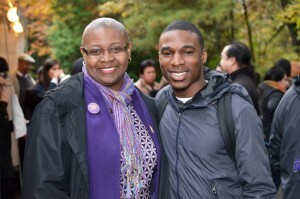 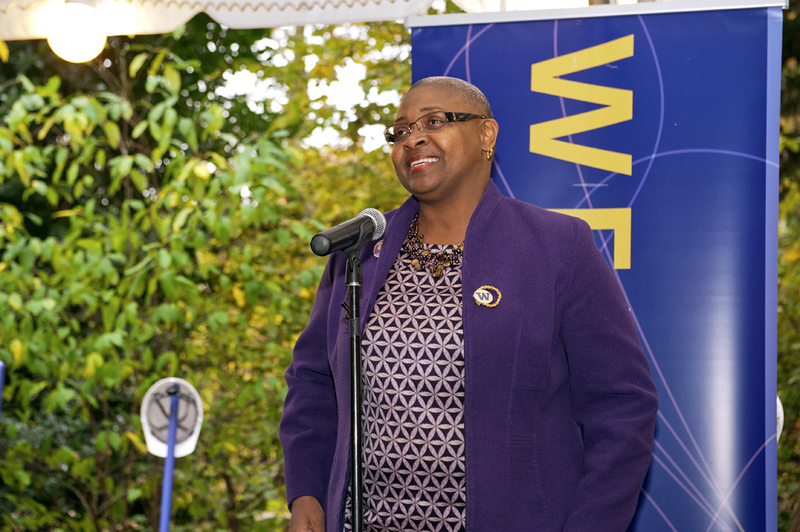 More information can be found on the UW Foundation web site. 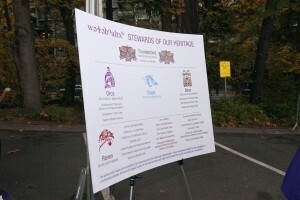 The design for Wǝɫǝbʔaltxʷ was created by the Seattle architectural firm of Jones & Jones. 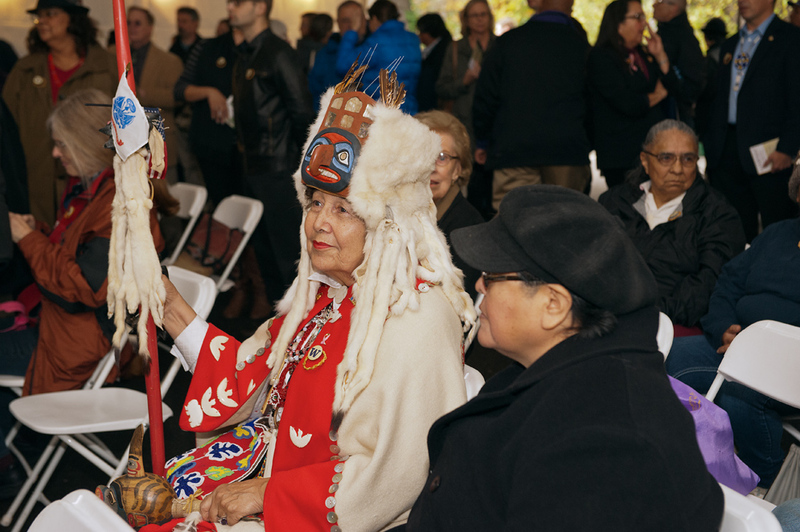 It will showcase the Pacific Northwest coastal-longhouse style and include elements that speak to Native people from all regions of the country. 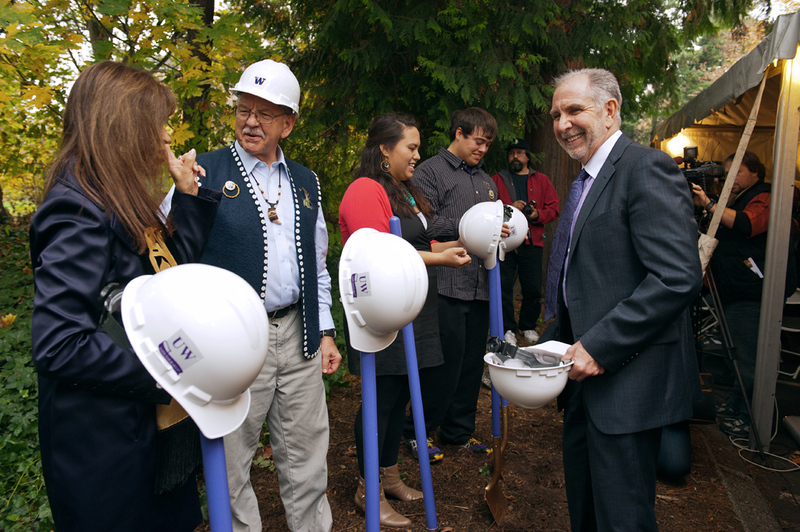 In addition to being a symbol that honors the region’s tribes, Wǝɫǝbʔaltxʷ will be a home-away-from-home for Native American UW students. 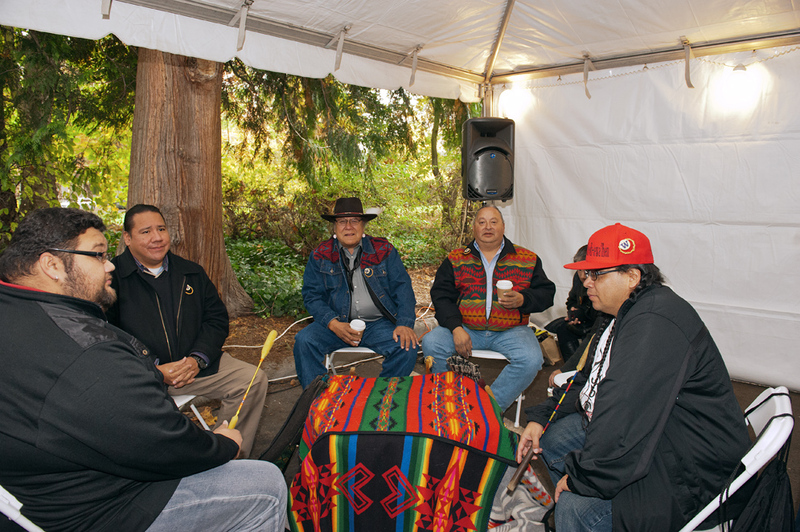 The planning process to build Wǝɫǝbʔaltxʷ received input and guidance from UW community members, an elders committee and regional tribes. 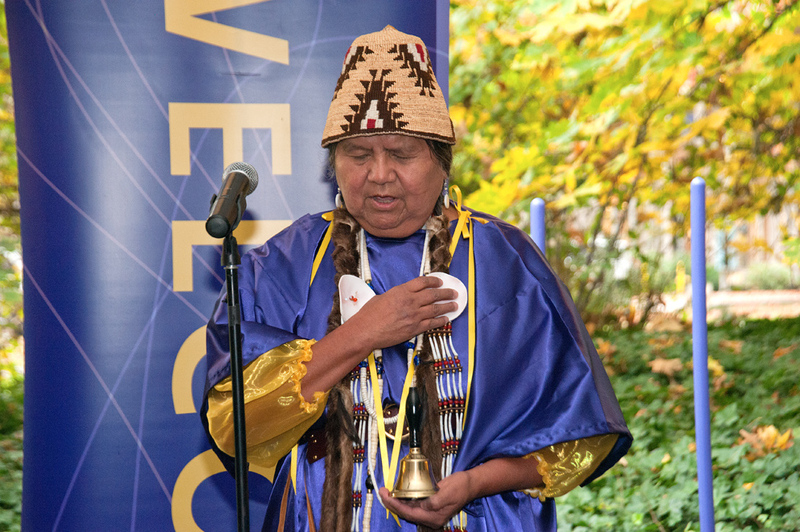 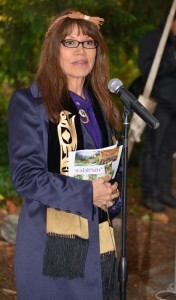 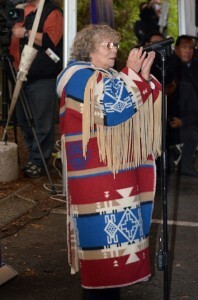 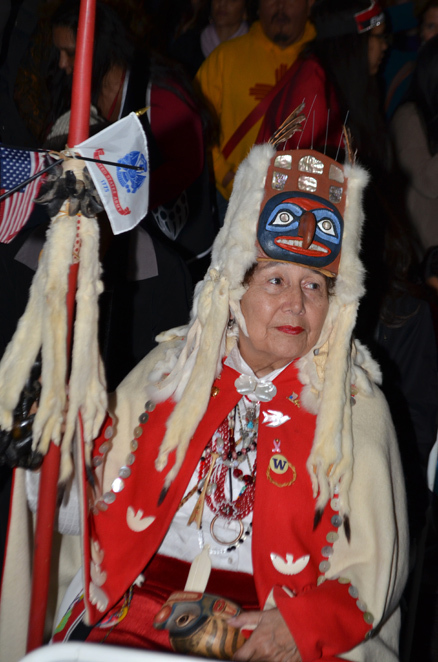 A site blessing was performed on April 10, 2009, and the Wǝɫǝbʔaltxʷ name was gifted to the project by the late Vi Hilbert, a Lushootseed linguist and elder in the Upper Skagit Tribe. 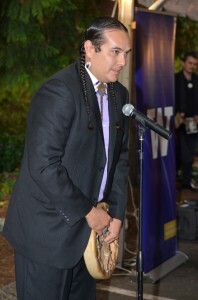 “I have so much pride in my heart for this building and for this space, and for all of you to be here and share this with us, because we are going to be living this dream,” said Coté, UW associate professor of American Indian Studies.